We’re already two years past the crystal anniversary and eight years short of the silver one, or at least we would be, had it been a wedding — and, after a fashion, perhaps it was. On October 7, 2001, George W. Bush launched the invasion — “liberation” was the word often used then — of Afghanistan. It was the start of the second Afghan War of the era, one that, all these years later, still shows no signs of ending. Though few realized it at the time, the American people married war. Permanent, generational, infinite war is now embedded in the American way of life, while just about the only part of the government guaranteed ever more soaring dollars, no matter what it does with them, is the U.S. military. This October 7th marked the 17th anniversary of that first of so many still-spreading conflicts. In league with various Afghan warlords, the U.S. military began moving into that country, while its Air Force launched a fierce campaign, dropping large numbers of precision munitions and hundreds of cluster bombs. Those were meant not just for al-Qaeda, the terror outfit that, the previous month, had dispatched its own precision air force — hijacked American commercial jets — to take out iconic buildings in New York and Washington, but the Taliban, a fundamentalist sect that then controlled most of the country. By early 2002, that movement had been ejected from its last provincial capital, while Osama bin Laden had fled into hiding in Pakistan. And so it began. The 17th anniversary of that invasion passed in the heated aftermath of the Kavanaugh hearings, as the president was rallying his base by endlessly bashing the Democrats as an “angry mob” promoting “mob rule.” So if you weren’t then thinking about Afghanistan, don’t blame yourself. You were in good company. And that, really, was that. Little other mention anywhere and no follow-up. No significant commentary or major op-eds. No memorials or ceremonies. No thoughts from Congress. No acknowledgement from the White House. Yes, 3,546 American and NATO troops had died in those long years (including seven Americans so far in 2018). There have also been Afghan deaths aplenty, certainly tens of thousands of them in a country where significant numbers of people are regularly uprooted and displaced from their homes and lives. And 17 years later, the Taliban controls more of the country than at any moment since 2002; the U.S.-backed Afghan security forces are reportedly taking casualties that may, over the long run, prove unsustainable; provincial capitals have been briefly seized by insurgent forces; civilian deaths, especially of women and children, are at their highest levels in years (as are U.S. and Afghan air strikes); al-Qaeda has grown and spread across significant parts of the Middle East and Africa; a bunch of other terror outfits, including ISIS, are now in Afghanistan; and ISIS, like al-Qaeda (of which it was originally an offshoot), has also franchised itself globally. If you consider this the anniversary of a marriage made in hell, then you would also have to think of the war on terror that started in Afghanistan as having had a brood of demon children — the invasion of Iraq being the first of them — and by now possibly even grandchildren. Meanwhile, the first actual American children born after the 9/11 attacks can now join the U.S. military and go fight in… well, Afghanistan, where about 14,000 American military personnel, possibly tens of thousands of private contractors, and air power galore (as well as the CIA’s drones) remain active indeed. And keep in mind that Americans aren’t the only people wedded to war in the twenty-first century. However, when it comes to the others I have in mind, it’s not a matter of anniversaries ignored, but anniversaries that will never be. Let’s start with a recent barely reported incident in Afghanistan. On October 5th, either the U.S. Air Force or the Afghan one that has been armed, trained, and supported by the U.S. military destroyed part of a “wedding procession” in Kandahar Province, reportedly killing four and wounding eight, including women and children. (By the way, on the day of the 17th anniversary of the war, an Afghan air strike reportedly killed 10 children.) We don’t know — and probably never will — which air force was responsible, nor do we know if the bride or groom survived, no less whether they will marry and someday celebrate their 17th anniversary. All we know and probably will ever know is that, in the melee that is still Afghanistan, the obliteration of that wedding procession was just one more scarcely noted, remarkably repetitive little nightmare to which Americans will pay no attention whatsoever. Admittedly, when directly asked by pollsters 17 years later, a near majority of them (49%) do think that U.S. goals still remain unmet in that country and, according to other recent polls, somewhere between 61% and 69% of Americans would support the withdrawal of all U.S. forces there. That, however, is anything but a stunning figure given that, in 2011, a Washington Post-ABC News poll indicated that two-thirds of Americans believed the Afghan war “no longer worth fighting.” Evidently it’s now simply no longer worth giving a moment’s thought to. The second incident we know of took place in Khost Province in Eastern Afghanistan in May 2002 while a wedding was underway and villagers were firing in the air, a form of celebration there. At least 10 people died and many more were wounded. The third occurred that July in Oruzgan Province when the U.S. Air Force dropped seven 2,000-pound bombs on a wedding party, again evidently after celebratory firing had taken place, wiping out unknown numbers of villagers including, reportedly, a family of 25 people. In July 2008, a missile from a U.S. plane took out a party escorting a bride to the groom’s house in Nuristan Province, killing at least 47 civilians, 39 of them women and children, including the bride. The next month in Laghman Province, American bombers killed 16 Afghans in a house, including 12 members of a family hosting a wedding. In June 2012, in Logar Province, another wedding party was obliterated, 18 people dying (half of them children). This was the only one of these slaughters for which the U.S. military offered an apology. And don’t forget the 15 or so Yemenis on the way to a wedding in December 2013 who were “mistaken for an al-Qaeda convoy” and taken out by a U.S. drone. As I’ve written elsewhere, since September 11, 2001, we’ve been number one… in obliterating wedding parties. 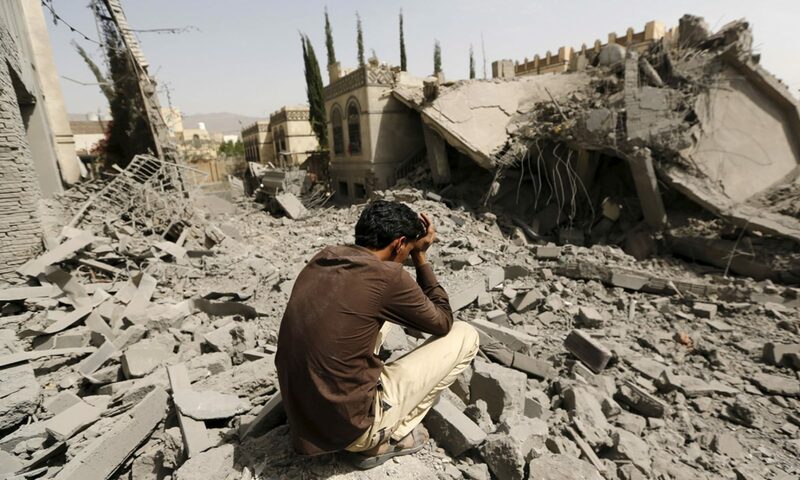 Still, we’ve had some genuine competition in recent years — above all, the Saudis in their brutal American-backed and -supplied air war in Yemen. From an incident in September 2015 in which their missiles killed more than 130 Yemenis at a wedding reception (including the usual women and children) to a strike on a wedding in April of this year that took out the groom, they’ve run a close second to the U.S. And then there’s ISIS, which, from Afghanistan to Turkey, seems to have a knack of its own for sending its version of a precision air force (suicide bombers) to take out weddings. All of these, of course, represent anniversaries that will never be, which couldn’t be sadder. In truth, if you live in any of the battle zones of the still-expanding war on terror, you should probably think twice about getting married or at least having a wedding ceremony. Since Americans don’t focus on such moments in our never-ending conflicts, they have no way of seeing them as the heart and soul of the twenty-first-century American way of war. And of course there’s always the question that General Mattis raised to take into account: What are you going to do with people who insist on getting married in the desert — other than slaughter them? Only days after the 9/11 attacks, every member of Congress but one voted in favor of the Bush administration’s authorization of military force that opened the way not just for the Afghan invasion, but so much else that followed. The sole no vote came from Representative Barbara Lee (D-CA), who warned that “a rush to launch precipitous military counterattacks runs too great a risk that more innocent men, women, children will be killed.” How right she proved to be. By now, there is the equivalent of unending “towers” of dead women and children in the Greater Middle East, while millions of Afghans and others have been displaced from their homes and record millions more sent fleeing across national boundaries as refugees. That, in turn, has helped fuel the “populist” right in both Europe and the U.S., so in a sense, Donald Trump might be said to be one result of the invasion of Afghanistan — of, that is, a twenty-first-century American push to unsettle the world. Who knows what else (and who else) America’s wars may produce before they end, as they will someday? Here, however, is one possibility that, at this point, isn’t part of any thinking in this country but perhaps should be. In the wake of America’s first Afghan War (1979-1989), the Red Army, the stymied military forces of the other Cold War superpower, the Soviet Union, finally limped out of that “bleeding wound” — as Soviet leader Mikhail Gorbachev called Afghanistan. They would return to a sapped, fragmenting empire and a country that would implode less than two years later. In that post-Afghan moment of victory — the end of the Cold War — nothing of the Russian experience was recognized as instructive for the last superpower on planet Earth. Here’s my question, then: What if that first Afghan War was the real-world equivalent of a movie preview? Someday, when the second Afghan War finally ends and the U.S. military limps home from its many imperial adventures abroad as the Red Army once did, will it, too, find an empire on the verge of imploding and a country in deep trouble? Is that really beyond imagining anymore? And if it were so, wouldn’t that be an anniversary to remember?